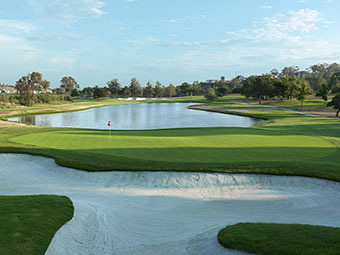 Jeffrey D. Brauer knows golf and how a well designed golf course makes golf better. He knows the essence of the game is the fun of camaraderie and competition against friends – and the golf course itself. Brauer blends modern artistry and traditional play values, focusing on the golfer’s enjoyment over pure difficulty and quite despair. His courses have infinite design variety, sound strategy and remarkable aesthetics, along with the occasional surprise or bit of whimsy. First among equal design emphasis is beauty and aesthetics, because “every good golfer, regardless of handicap, enjoys the outdoor experience,” Brauer says. His courses have a “sense of place” created by blending the natural beauty of the site with golf course elements. His courses usually look like they have – were meant to be – always been there. In short, Jeffrey D. Brauer makes golf better! He knows that playing on a well designed golf course makes golf better. Perhaps because he grew up as an average public golfer, he incorporate what he likes, and golfers have responded to Brauer designs for over three decades. 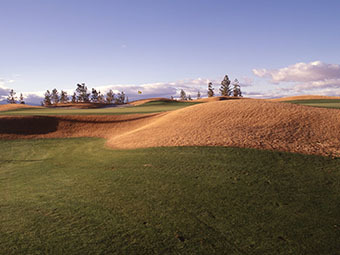 – A “sense of place” like no other golf course – Golf Writer Bradley Klein opined that he wouldn’t have known that the two courses at Giants Ridge were designed by the same architect, which is the highest compliment possible.